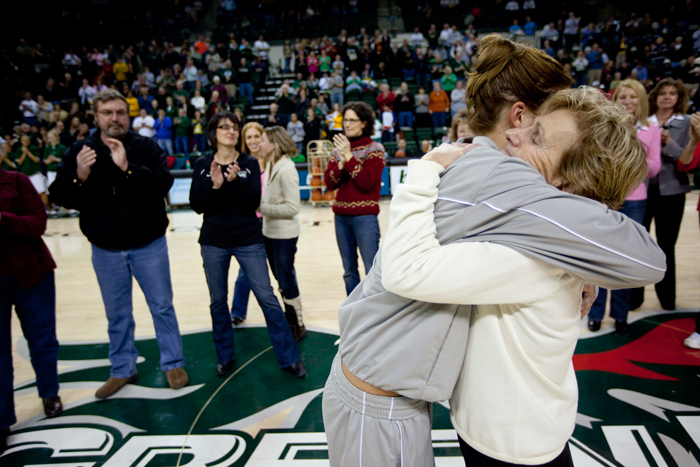 A year ago, friends surprised Carol Hammerle and honored her 25-year career as UW-Green Bay’s founding women’s basketball coach with a permanent display at the Kress Event Center and creation of a scholarship fund in her name. 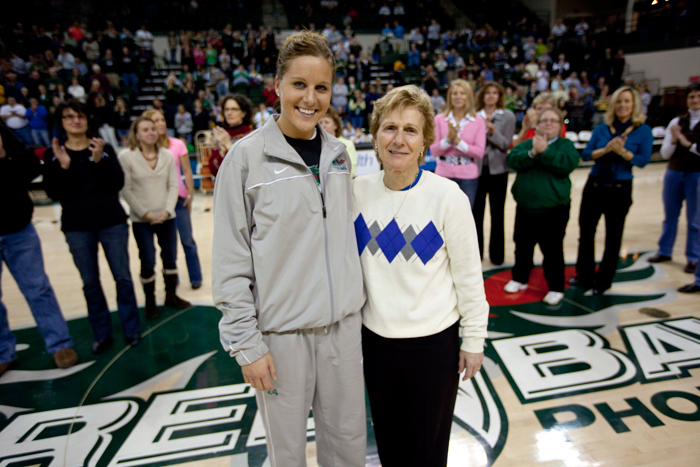 Saturday, Feb. 5, Phoenix Athletics announced the first award from the fund would go to women’s basketball senior Heather Golden. More than 100 friends of the program contributed to the Hammerle Scholarship, with more than 25 percent coming from alumni of the program. 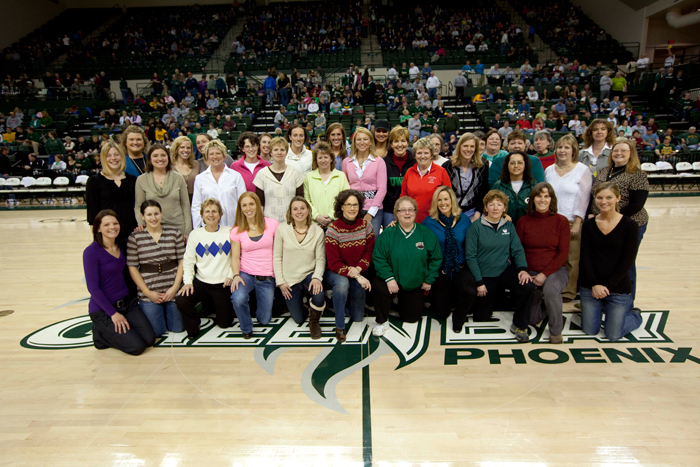 More than 40 former Phoenix women’s basketball players were on hand for the festivities and the program’s annual Alumni Day. Members of the scholarship committee were Ken Bothof, Jeanne Stangel, Sue Bodilly, Donna Davis, Nancy Demmith, Kathy Mertz, Sue Steeno, Marilyn McCarey, Dan Spielmann, Chuck Ihrke, Rich Spangenberg and Pat and James Hinckley. 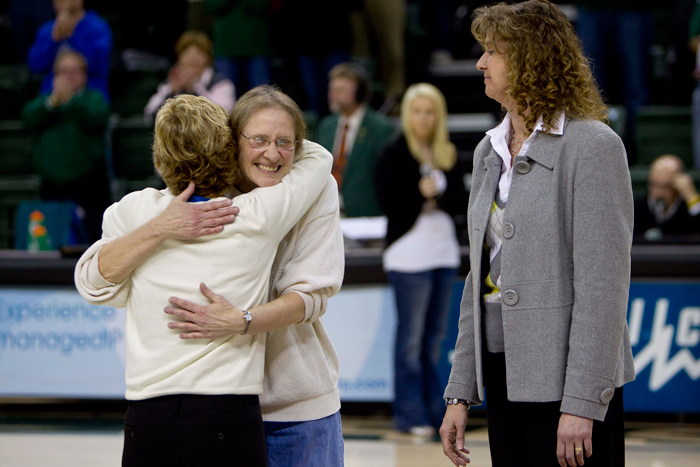 Hammerle donated an additional $1,000 match gift for the fund, eagerly matched by supporters by game’s end. Hammerle was also on hand for the unveiling of the retired jersey numbers of two Phoenix women’s basketball standouts whom she coached, Jeanne Barta Stangel ’83-’87 and Mary Quigley ‘74-’78. 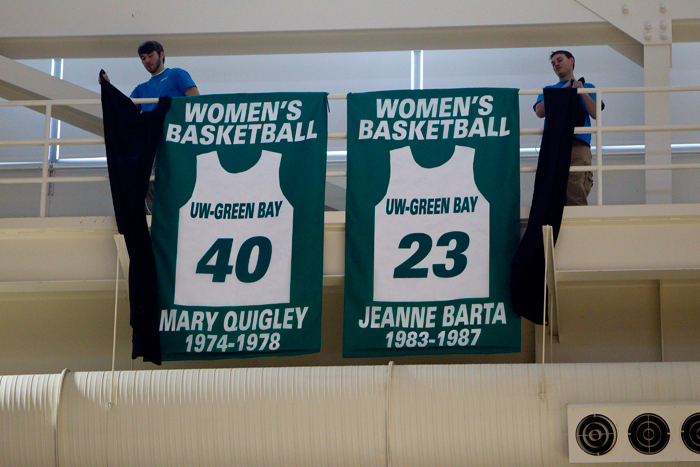 Although their numbers were officially retired years ago, they had never been formerly dedicated in the new Kress Events Center. Later that afternoon, the nationally-ranked Phoenix improved to 22-1, 11-0 in the conference with a record-breaking 59-point win over Youngstown State. 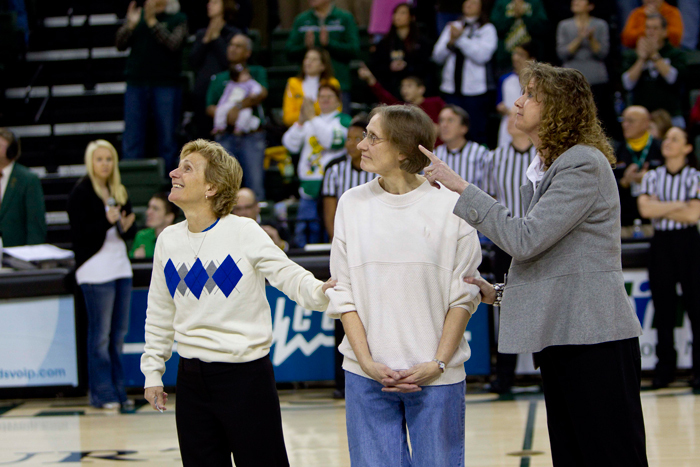 Photos depict Golden and Hammerle, Hammerle, Quigley and Stangel, the alumni who played in the annual Alumni Day game, and those who were announced and honored at halftime. 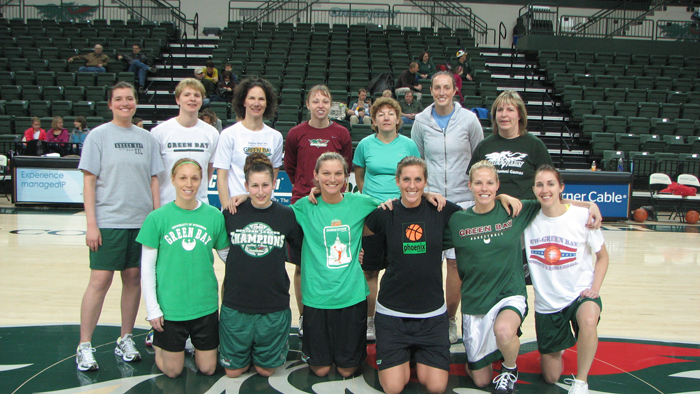 This entry was posted in Giving Back and tagged alumni, Athletics, scholarships, students, women's basketball on February 11, 2011 by Sue Bodilly.